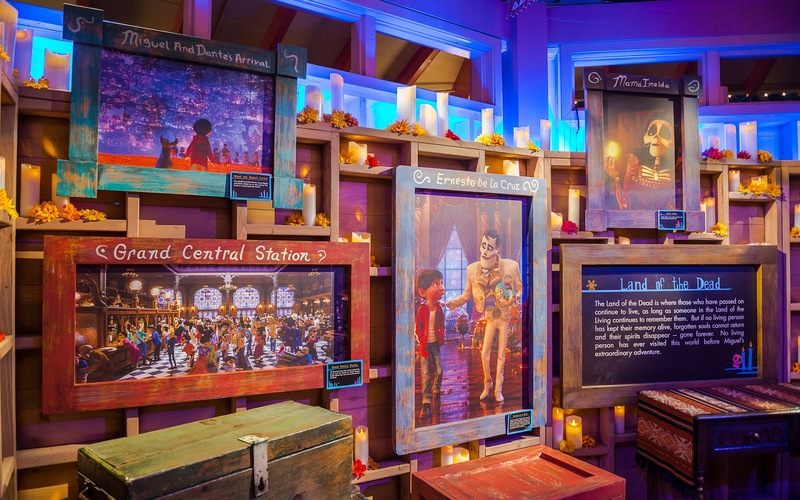 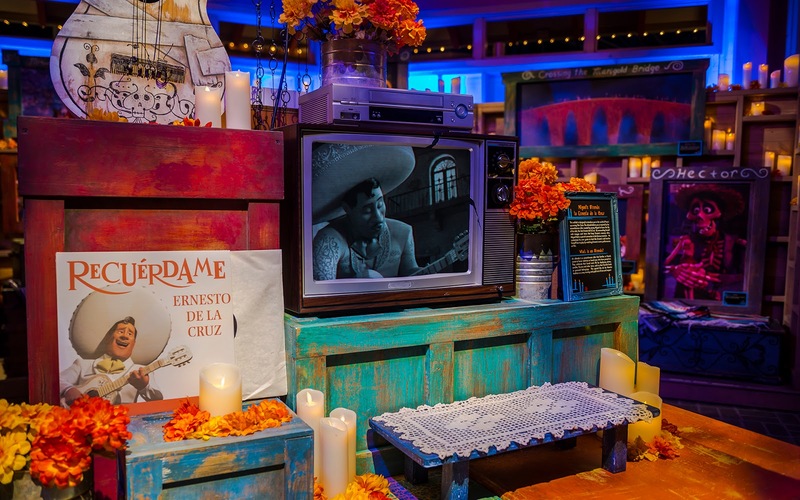 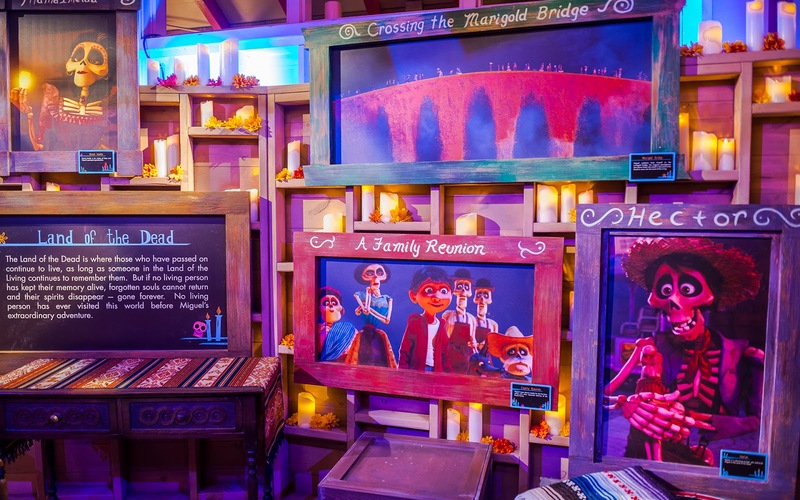 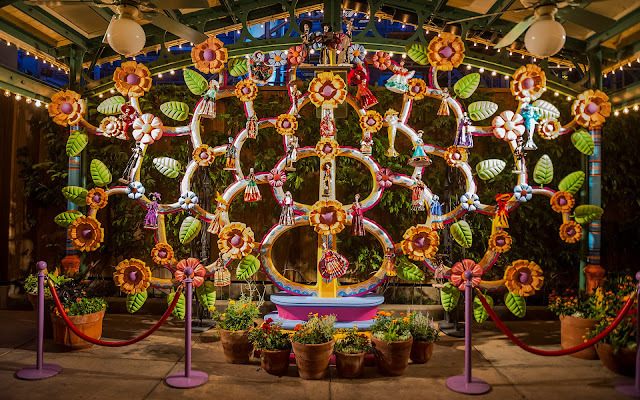 Día de los Muertos has come to Disney California Adventure this year in the form of a seasonal exhibit that helps advertise the upcoming Pixar film, Coco. 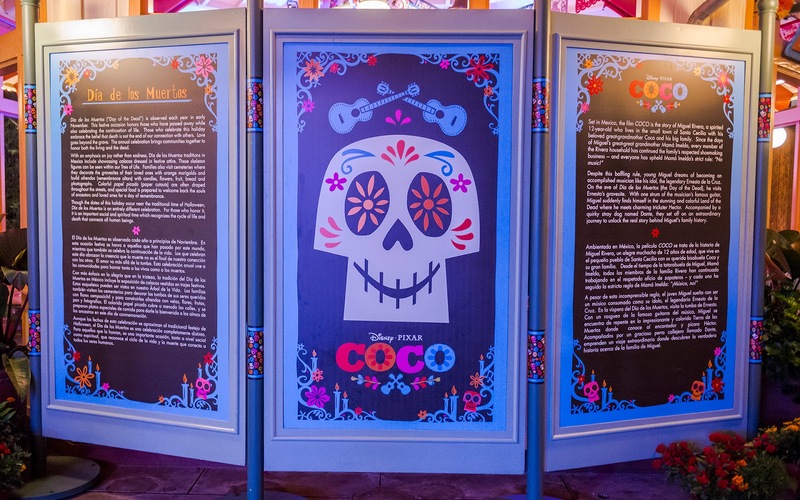 No longer does Frontierland's Rancho del Zocalo hold the only display for the Mexican holiday. 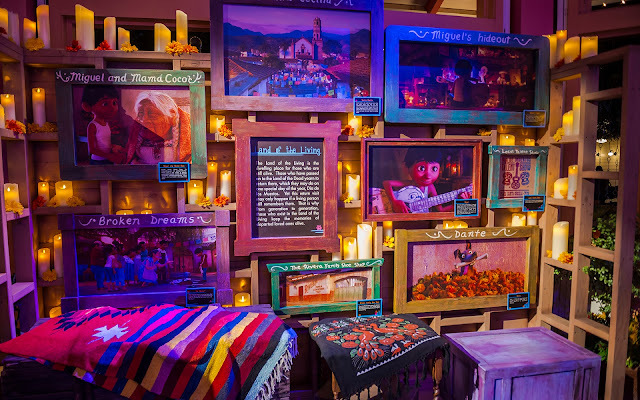 And for a temporary exhibit, it's pretty photogenice, with scenes from the movie and a description and explanation of the significance of the Mexican Day of the Dead. I have no idea if this will return next year, but it's one of many new seasonal sights this year!